lots of people in the news, including Lady Gaga, Taraji P Henson, Michelle Williams, Former First Lady Michelle Obama and many other have recently talked about how counseling/therapy has helped improve their lives. therapy has been proven to help people overcome many mental and physical health challenges. it’s also a great way to jump start growth and self-development. learning more about how to create peace, happiness and a positive mindset are some of the benefits of therapy. the stigma around seeking a mental health professional decreasing, which is great. however, many people don’t know how to take the first step. if you feel ready to learn more about how to get support. Here’s a link to my tips on how to find a good therapist. I just got home from speaking to students at IS285 in Brooklyn. What an amazing group of 7th and 8th graders. They really inspired me to continue to strive for the highest goals I can attain. They had big dreams and so many of them were working really hard to get there. One of them asked me what made me realize I wanted to work with teens. I had to think back to my dreams as a young sage and the answer is…teens energize me. But they also are the next generation; our soon to be future. They are idealistic and innovative, just what our society needs to move forward. I saw that and much more from speaking with this group. I can’t wait to see Ms. Michael Jackson rock the stage in the next 10 years. And I know that my ‘shy’ girl will make it to her goal of being an Obstetrician, as long as she continues to focus on getting good grades and blocking those haters out of her mind. All of our talk got me so hyped up, I had to go home and rewatch the Black Girls Rock! awards which aired on BET November 4th. I’m listening right now as Taraji P. Henson introduces BGR! awardee Susan L. Taylor, former editor of Essence magazine and Founder of the National Cares Mentoring Movement. Ms. Taylor recognizes the important role that youth play in shaping our future. Investing in them is investing in us. So students of IS285 if you are reading this, continue to dream but don’t sleep while you’re at it. Work hard and remember to give back like Susan Taylor and BGR! founder Beverly Bond. To all teens- I’m thanking you in advance for making our world a better place! I just came from Brazil where I learned they look up to how much we as Black women have pride in ourselves. Yes, the world is watching ladies and after they catch a glimpse of the Black Girls Rock! Awards on BET tonight they will be inspired. I had the pleasure of being invited to the taping and there wasn’t a dry eyed moment that evening. 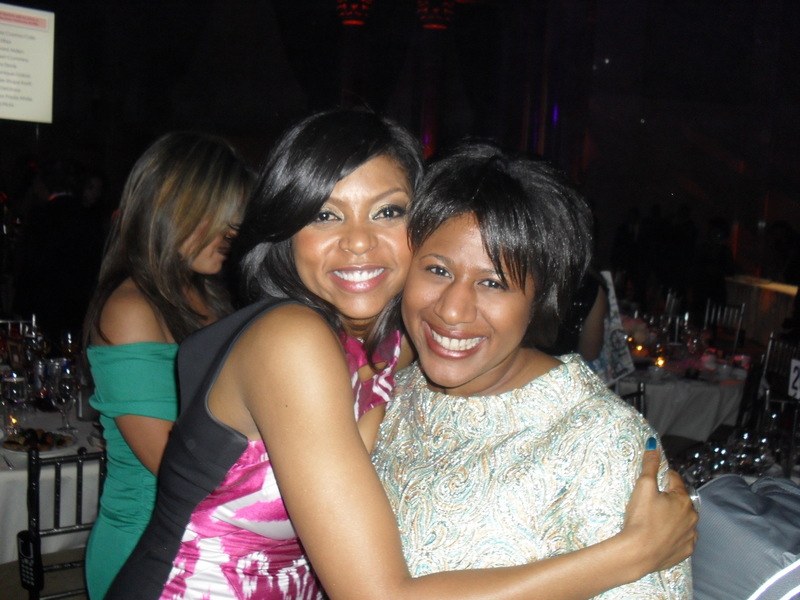 Taraji P Henson is the truth; she urged us sisters to stick together and recognize the power we have in unity. The show is filled with amazing performances with the likes of Erika Badu who rocked it out with scratching skills that are off the hook. All I could say is “I salute YOU Jill Scott!” I was on my feet at attention. 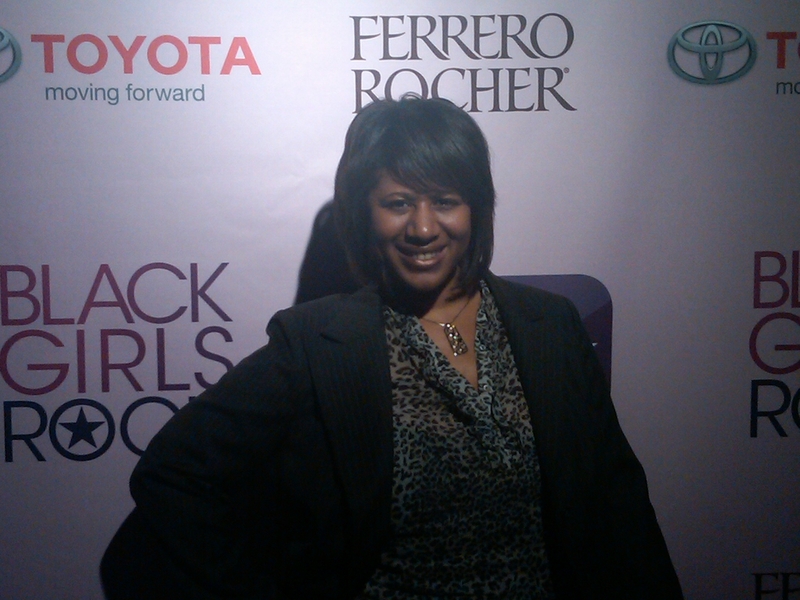 I so admire founder of Black Girls Rock! Inc., Beverly Bond. Her dedication to girls is unwavering. We need more like you Ms. Bond! Watch tonight 8pm on BET to see the power Black girls behold.